Puzzlingly, I had some positive expectations for Golden Globe winning, Oscar and BAFTA nominated, Les Misérables – puzzling because award giving bodies so commonly give awards to the most generic and unimaginative examples of filmmaking (I’m thinking Chicago as Best Picture Oscar in 2003). The others amongst it that are nominated for most of the ‘top’ awards are Life of Pi, Silver Linings Playbook, Lincoln etc – which appear safe choices and none of which feature on my best of 2012 list – but then again I haven’t seen also heavily nominated; Zero Dark Thirty yet. Regardless, I did expect to be impressed by Les Misérables and in part, I was. A post-French revolutionary (though historical clarity is not the films strength) tale of hardship and suffering, adapted from the longest running musical in the world – Les Mis is prime award bait, affording its performers plenty of opportunity to emote whilst acting and singing. The acting and singing aren’t really separated, unlike in the classic incarnation of the musical genre. 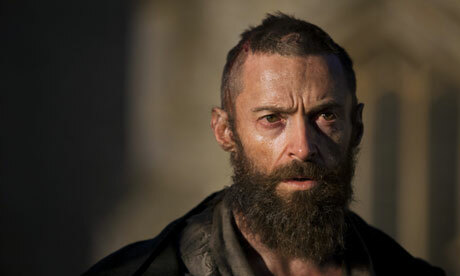 Speech bleeds into song in one stream of angst and emotion – most successfully by Hugh Jackman as Jean Valjean – ex-convict turned town mayor. 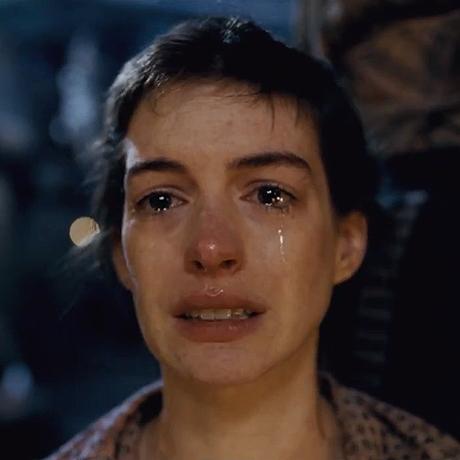 Another impressive moment was that carried by Anne Hathaway as Fantine as her rendition of ‘I Dreamed a Dream’, involved delivery that ranged from whispered desperation to belted, raw affirmation. Hers is the moment that has most lingered in my mind; it being perhaps the most perfect instance of musical performance enhanced by that singular cinematic thing – the close up – a technique that director Tom Hooper (The King’s Speech) utilises for each of his performers, but none so poignantly than here. Elsewhere the music is actually quite banal, and Russell Crowe really is that bad a singer – and painfully exposed as such when called upon to duet with Jackman. For his casting alone I cannot accept Les Misérables as the ‘masterpiece’ it has been lauded as by so many. Eddie Redmayne as love struck Marius also impresses vocally – and Madame and Monsieur Thénadier (Helena Bonham Carter and Sacha Baron Cohen) provide welcome comic relief in some intelligently choreographed vaudeville inspired scenes. Django Unchained has inevitably attracted controversy (even today it was announced that the collectible figurine merchandise from the film were to be pulled from sale by the Weinstein Company) – its liberal use of the ‘n’ word and blending of cinematic genres were to be expected from director Quentin Tarantino in his depiction of slavery via spaghetti western tropes. The most frequent complaint on my radar since its release however, is that its length – 165minutes – is excessive, Tarantino having indulge d in one too many scenes in the climactic third act. 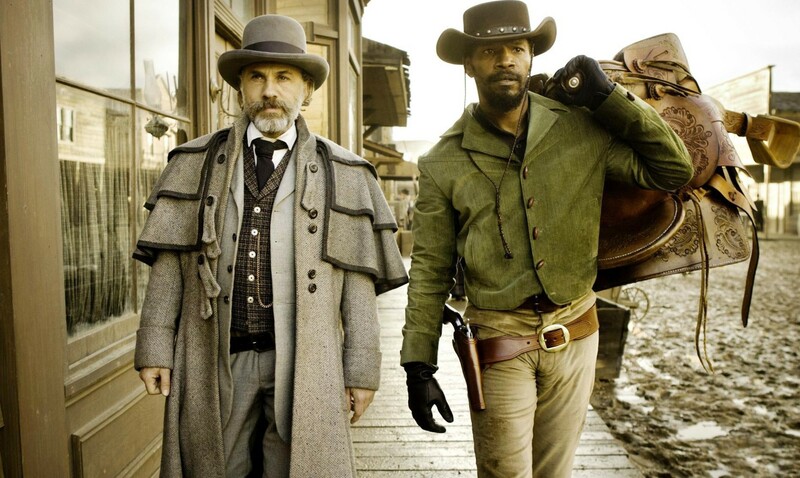 This plot messiness which serves to build further tension and emancipate Django (Jamie Foxx) fully, even (sadly) from his loyal, white friend, only enriches the film, as Tarantino seeks to give his titular character the ultimate face-off – not with the oppressive whites but with that of loyal slave Stephen (Samuel L. Jackson) who becomes the last man standing in his way. Jackson’s performance is exemplary; combining private and public personas developed from a lifetime of servitude for survival. As with all his films, Tarantino demonstrates his passion for wordplay and in Christoph Waltz, who so aptly handled his stylised articulacy in Inglourious Basterds (2009); Tarantino has perhaps found the perfect match. His Dr King Shultz is a delight to watch, Waltz displaying effortless charm and charisma with every line reading. It’s the kind of performance that makes one forgive any flaws a film might otherwise have. (One of which is the lack of strong female characters, but there are better writers than I – Anne Billson – to have handled this critique). Such rewarding features, combined with a standout soundtrack render the film’s protracted running time inconsequential to its enjoyably gleeful pace. A double bill this week proved surprising as Damsels in Distress (Whit Stillman, 2012) – via the presence of a poster on a character’s wall – urged me to follow it with La Grande Illusion (Jean Renoir, 1937). The similarities between these two hugely different (stylistically) films lie in their treatment of class and social inclusion, but where Renoir’s canonical film sees humanity transcend social barriers during wartime, Stillman’s vision of college life ponders such ideas as, dating as social work and eccentricity versus conformity. Starring Greta Gerwig as the sometimes oblivious yet well-intentioned Violet; Damsels in Distress takes a whimsical, nostalgic look at campus life as Violet seeks to cure suicidal depressions with tap dancing and donuts and no-one seems to own a mobile phone. 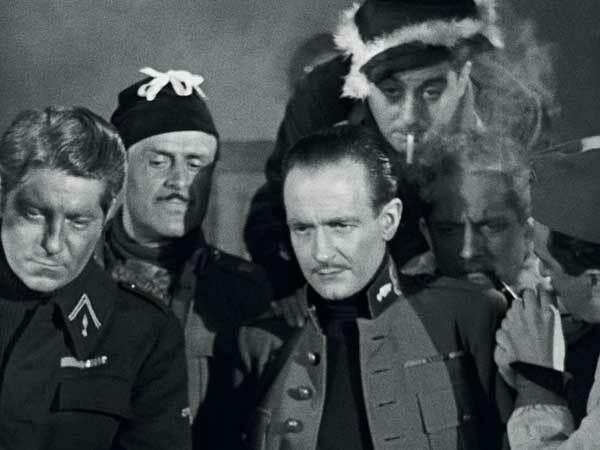 Of course campus college life is not akin to the life of the prisoner of war, but Renoir’s classic film – though hugely successful on release – was criticised for depicting its detained officers as enjoying the benefits of amiable guards, generous and wealthy relatives and goodwill amongst soldiers. Indeed, seeing the characters of La Grande Illusion put on a show for the benefit of their comrades, I couldn’t help but think of Whitman’s musical pastiche at the end of Damsels – both groups in enclosed worlds never fail to see the benefit of morale-boosting dance numbers.